How to create your first ReportViewer in LightSwitch HTML? This section explains you how to configure a ReportViewer component in LightSwitch HTML application. 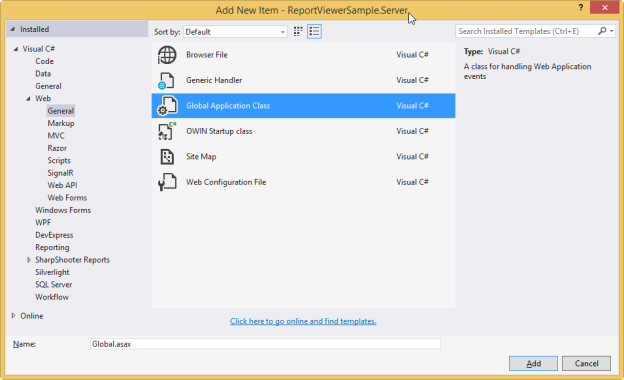 As ReportViewer uses WebApi to process the report file, you can also learn how to create WebApi services to process the report for the ReportViewer. In the following example, the ReportViewer component displays the report from SSRS Server. 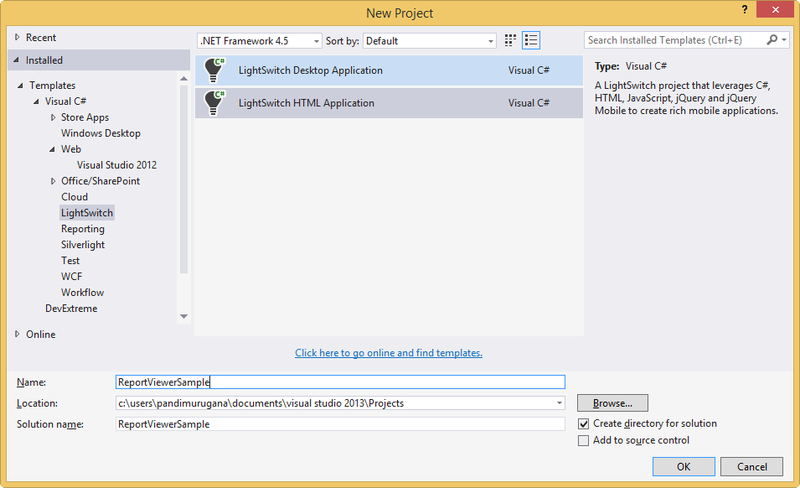 Open Visual Studio and create a new project by clicking New Project. Select the LightSwitch category, select the LightSwitch HTML Application template, and then click OK. The following screenshot displays the Project Creation Wizard. 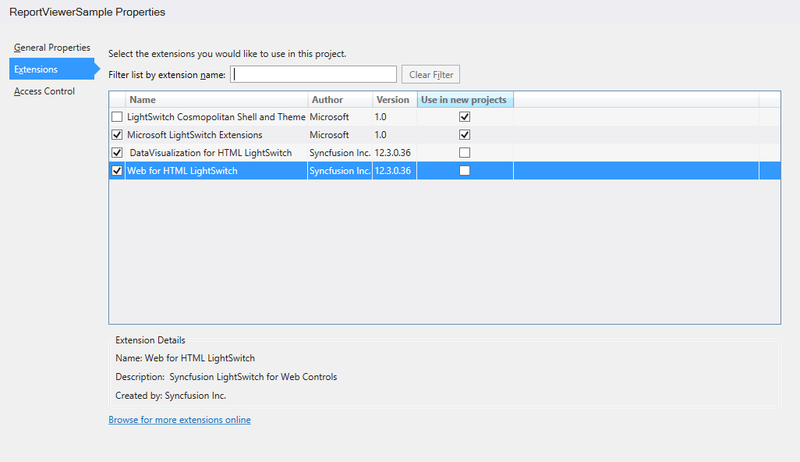 The following steps help you to add Syncfusion LightSwitch HTML Extension in the sample application. 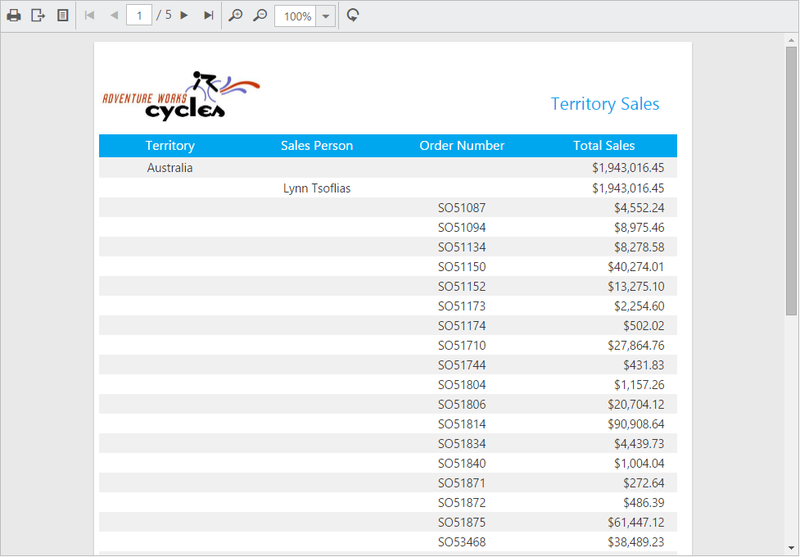 Open sample project properties page. Select Extensions tab and add Syncfusion LightSwitch HTML extensions by selecting Web for HTML LightSwitch and DataVisualization for HTML LightSwitch. You have to add the following script files and CSS files in the default.html page of the HTMLClient project. Note: Use the following code example while adding scripts and styles. 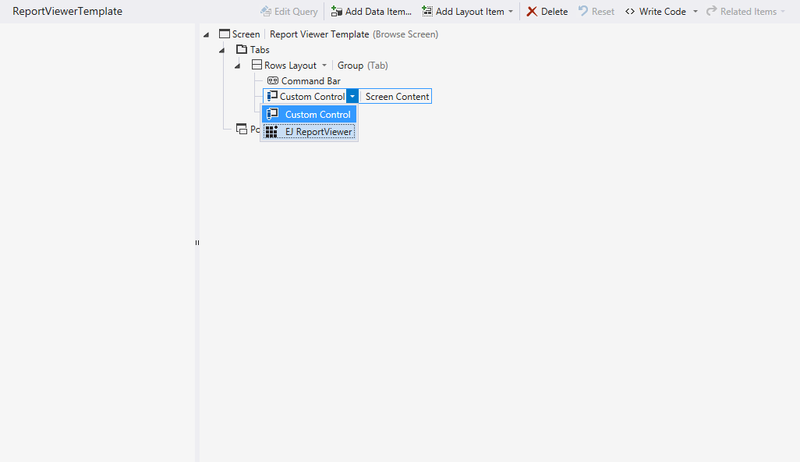 The following steps help you to add the ReportViewer Template Screen in HTMLClient. Right-Click the Screen folder and choose Add Screen. Select Tabs on screen and Add Tab. Click on Add and choose New Custom Control. Choose Custom Control as EJ ReportViewer. Click Edit Render Code option in properties window to configure EJ ReportViewer widget properties. Configure the ReportViewer properties as follows. 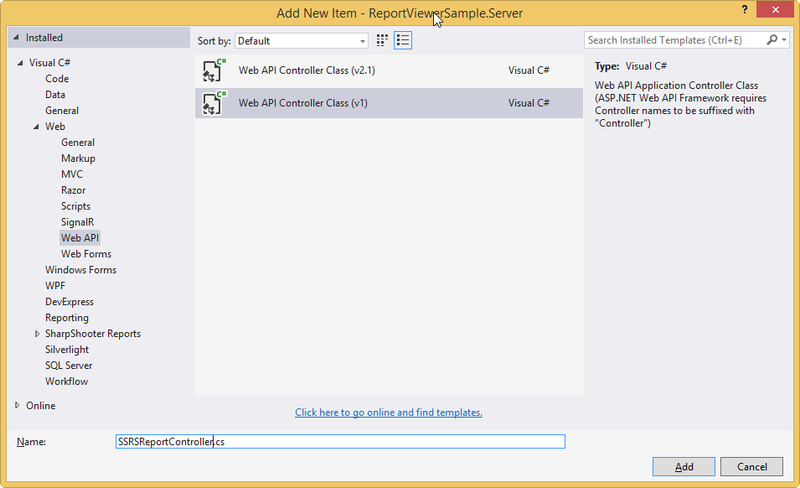 LightSwitch HTML ReportViewer uses WebApi services to process the report file and also process the request from control. 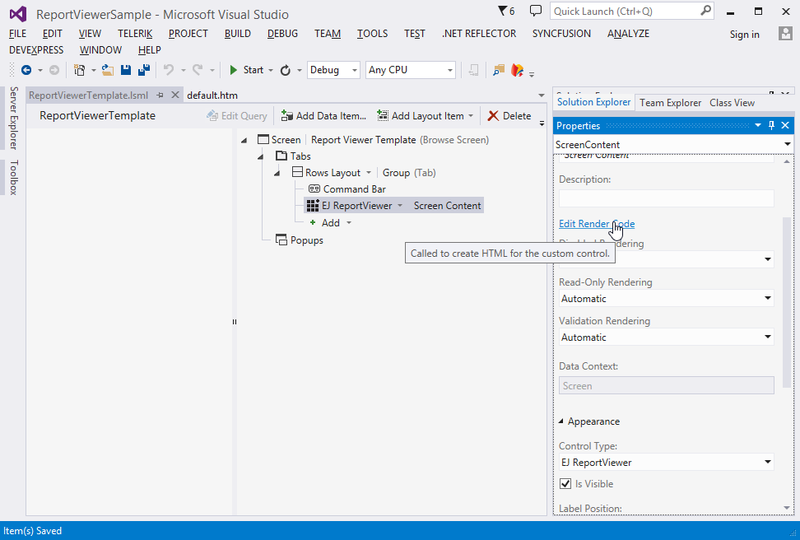 You can add the following assembly references to Server project for WebApi and ReportViewer. In the Server Project, right-click the References folder and then click Add Reference. Note: Refer to System.Web.Http, System.Web.WebHost, System.Net.Http.WebRequest and System.Net.Http.Formatting dlls from ASP.NET WebApi nuget package. Right-Click the Server Project, select Add > New Folder and name the folder Api. Right-Click the Api folder and select Add > New Item. 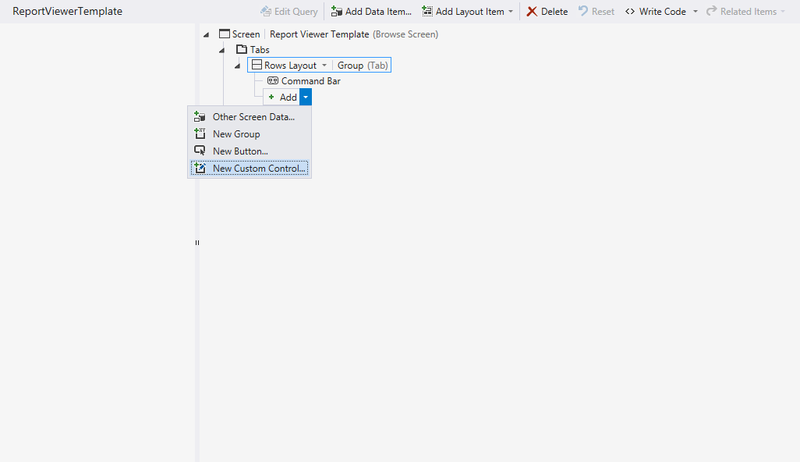 In the Add New Item window, select Web API Controller Class and name it SSRSReportController.cs. Click Add. The ApiController inherits the IReportController and adds the following code example to its methods definition to process the report file. The interface IReportController contains required actions and helper methods declaration to process the report. The ReportHelper class contains helper methods that help to process Post/Get request from control and return the response to control. Right-Click the Server Project, select Add > New Item and select Global.asax file from the listed templates. 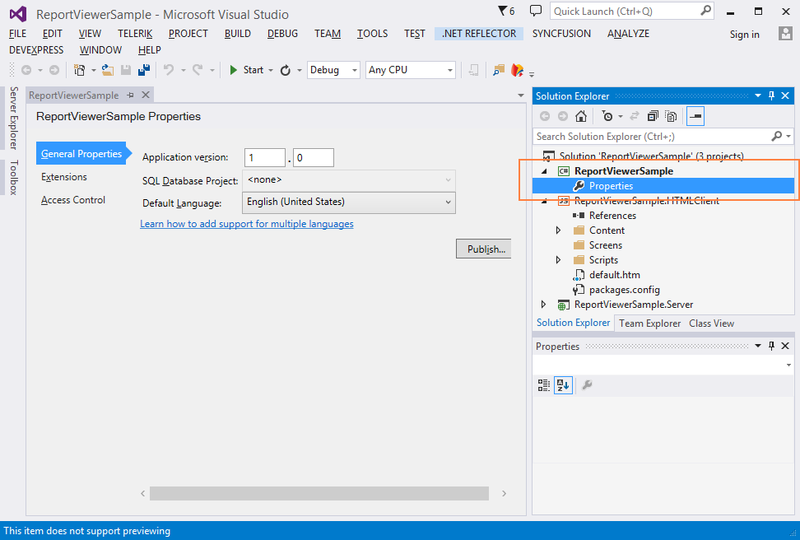 You can route the WebApi in the Application_Start event into Global.asax file as follows. You can download the Demo Sample from the following link.